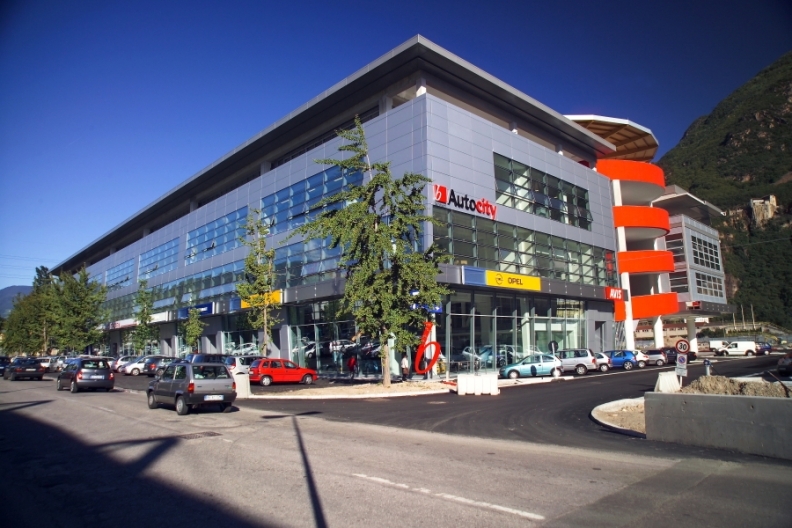 New-car sales rules may hit multibrand dealers such as this one in Bolzano, Italy. After being hit hard by the automotive industry crisis, most of Europe's top dealer groups are back on a growth path, but a dark cloud looms when the EU's block exemption regime, which has regulated car sales and repairs in Europe for the past nine years, is scrapped in 2013. Dealer executives warn that the ending of the auto industry's exemption - or "safe harbor" from EU competition rules - will give automakers even more influence on new car sales than they already have. In particular, automakers will seek to reverse the trend toward dealers selling multiple brands from different manufacturers in single showrooms, dealers fear. Volker Borkowski, CEO of AVAG Holding, a large dealer group in southern Germany, said he is concerned that dealers will lose multibrand freedoms under the new sales regime. "The EU has mixed the cards anew. We have to wait and see how manufacturers will use the new regime. Larger groups such as ours may be OK, but small regional multibrand dealers might be forced to have different showrooms for separate brands." Like a number of European dealer groups, AVAG diversified its brand portfolio during the economic crisis to reduce its dependence on struggling brands. Previously largely an Opel dealer, the group has been acquiring Ford dealerships over the past three years. The EU introduced the current block exemption regime in 2002 with a one-year transitional period. Brussels has now decided that a specific auto industry exemption from its antitrust rules is no longer necessary. From June 1, 2013, new car sales will be governed by the EU's general competition rules. Many items currently regulated by the block exemption will be negotiated in future between automakers and dealers via a code of conduct. Dealers fear that some automakers may compel dealers to have a separate legal entity and separate retail and service space for brands from different companies, killing the multibranding that the current regime allows. Ed Goedert, founder of Autopolis, Luxembourg's largest dealer group, said he employs dedicated people for each of the 12 brands he sells, both in sales and after sales, in a megadealership that retail different brands under one roof. "Autopolis is the biggest Opel dealer in Luxembourg and we fought to keep the brand alive and kicking during its recent difficulties. Now that Opel are doing better, they asked me to build a wall to separate Opel cars on display from nearby Suzuki products. This is not fair," he said. Goedert added: "If new distribution rules require separate legal entities for each brand and separated sales and service areas, the investment – and the concept itself of Autopolis - would simply be dead." The EU says dealers will still be protected after 2013. Stephan Simon, deputy head of the European Commission's antitrust unit, said: "Multibranding is an important topic, but not one of the commission's priorities or part of the new regulation documents, as it will be dealt with by the code of conduct." Automakers are happy with the change. Marc Greven, director legal affairs at the industry association, ACEA, said his association members don't like the current rules that permit "different brand cars to be sold side by side by the same people." He added: "Manufacturers generally don't like regulations, but they like this new one." Greven said the introduction of the 2002 block exemption was used by some automakers to reduce their dealer network, but ACEA does not envisage similar restructuring this time. "The new rules imply little substantive change," he said. ACEA says its members are taking different approaches to the new rules, some even offering new contracts to be signed now for 2013. For example, PSA/Peugeot-Citroen has already terminated its European dealer network with two years' notice in preparation for a new contract, while BMW plans to give new five-year contract, to be renewed on a rolling basis. Greven noted that, most likely, premium automakers would ask for more restrictions on multibranding, while some volume manufacturers may ease their requirements in terms of multibranding. In 2010, all but two of Europe's top 25 dealers ranked by volume increased unit sales compared with 2009, according to figures collected by market researchers Autobiz. Only three of the top 25 ranked by revenue posted lower revenue than the year before. See PDF tables, above. Emmanuel Labi, from AutoBiz, said the market share of the top 100 dealer groups in Europe has steadily increased since the crisis in 2007 and they now control 25 percent of new car sales and distribution in the region. "Big dealer groups are getting bigger, more international and adding new sales points," he said.